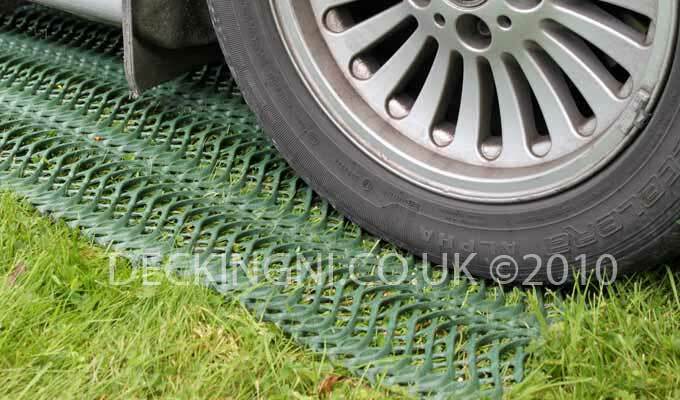 Eco Grass Protector is used to protect grassed areas from vehicles and heavy pedestrian traffic. It protects the grass and the grass sod below, it stops an area turning into mud and prevents cars, trailers, caravans etc from sinking into the ground. It allows temporary areas to be created over grass for cars, caravans and heavy pedestrian use. Such uses would include parking for Music Festivals, Agricultural Shows, School sports days, Religious gatherings etc. The grass is cut relatively short first, then the Eco grass protector matting is rolled over the grass area and secured down with pins. As grass grows up through the polyethylene grid it intertwines with the structure of the Eco grass protector. The more the grass intertwines with the mesh, the stronger the combined system becomes. The open structure of the eco grass protector matting allow water to pass straight through the ground reinforcing system and into the ground allowing excellent drainage. 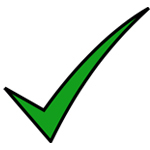 It is a very cost effective safety surface system. Eco grass Matting becomes invisible after 5 or 6 weeks of grass growth as the grass grows up through it. It is Very Cost effective, as very little ground preparation is required, Eco grass protector does not require skilled labour to install. Using this anti slip grass protection system, (instead of excavating and replacing the with stone, concrete or tarmac ) the eco grass protection system operates as a Water attenuation system - this system can help prevent flash flooding. Its use makes for responsible urban planning and practice. Very little ground preparation required. Eco grass protector can simple be laid on top of short or freshly cut grass. Any hollows can be simply filled in with top soil & reseeded. Its use eliminates the need for substantial excavation and base preparation. Eco Grass protector is a commercial grade plastic grass protection system. It is designed for long life, in excess of 20 years. it is exceptionally durable and is made from polyethylene. It is an eco product on 3 counts: firstly it has a recycled plastic content, secondly it can help prevent flash flooding and thirdly it ensures that a park or school grounds has natural grass cover for fauna and flora as well as ensuring that it retains a natural aesthetic.